Young talent: Performers from the group ‘Get Along’ at the Frankston North stands up against community violence event. 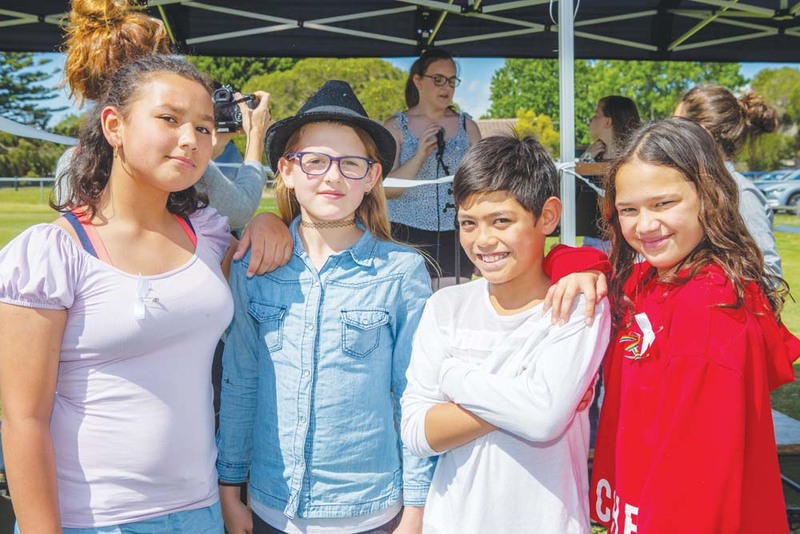 ALDERCOURT Primary, Mahogany Rise Primary, and Monterey Secondary College have teamed up to hold an event encouraging people to take a stand against violence in the community. The three Frankston North schools have called on local organisations to get involved with the cause to draw attention to and prevent acts of violence. Performances, sausage sizzles, and talks were held at Pat Rollo Reserve on 30 November in support of the cause. The event was inspired by an initiative taken by Aldercourt Primary School. “This was initiated by Aldercourt Primary School. They held an event like this a few years ago which was quite a success,” Community Liaison for Frankston North Schools Jennifer Agesa said. “So the Frankston North Schools initiative is partnering with local organisations in the Frankston North area, and we’re having various speakers sharing their personal experiences. We had Sergeant Andrew Horscroft from the family violence unit sharing statistics about gender violence and his experience in the system. We also had a youth worker, Jamie Usher, talking about his experience living and coming through family violence. “Cr Sandra Mayer attended and spoke on the resources available, and MP Chris Crewther also attended. Ms Agesa said the event emphasised the importance of preventing violence. “Our focus is on prevention, it’s about standing up to violence in our community. We didn’t want to isolate men with the event, because it affects all people in the community,” she said. Ms Agesa said one of the highlights of the afternoon was students getting involved by putting on performances. “We had great school performances and activities run by the local organisations,” she said. “We had rappers from a local secondary school, the words within their song is indicative of a journey they’ve lived through. It’s quite powerful listening to their experiences through hardship.